Let me find my way around this place first!! One of my favorite stories growing up was King Arthur and the Knights of the Round Table. The author has taken this timeless tale and given it a brilliant new twist. The storyline is intricate and complex, and one gets drawn into the two entwined stories. A boy looking for his origins and a girl trying to survive! 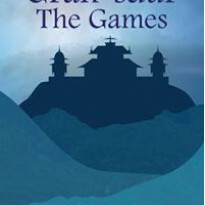 The plot unwinds spectacularly, and the author manages to keep the book fast paced and exciting, while developing her characters. The strengths and weaknesses of each character are explored. You feel pity for those that circumstances changed for the worse and sadness for those who got affected by the change. I love her style of writing, it kept me glued to the book. 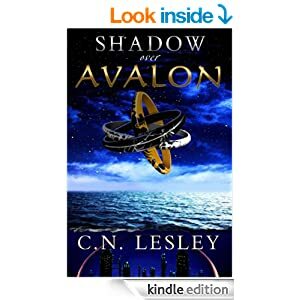 A reunion, betrayal, survival and promises of new adventures to come and new possibilities to explore! C.N.Lesley ends her book on a note of suspense, leaving us waiting to know what happens next. Applause for the author on her own timeless tale! 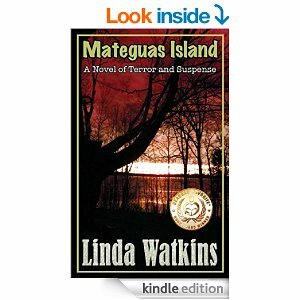 The synopsis of the Mateguas Island was enough to intrigue me. Paranormal is one of my favorite genres, be it a book or a movie (I hope this gets made into a movie - it will be brilliant!) This has been one of the best books I’ve read in a long time. It would take pride of place on my bookshelf, and would be one of those books that I would read more than once. The storyline is full of suspense and very believable. The story is woven around the lives of Bill and Karen and their twins. They have recently moved to Mateguas Island and are trying to work on their relationship while getting used to a new lifestyle. Things get complicated as the couple gets pulled into situations that they have no control over. They have to fight the demons inside them and those outside, while trying to keep their children safe. Linda Watkins has explored feelings and relationships while maintaining the excitement and pace right through. I read this book in one sitting, I couldn’t put it down. The plot would appeal to most people and trust me, you will not regret having picked it up. Thank you Linda for a wonderful read! 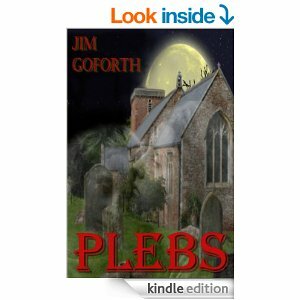 Plebs: A gothic horror with a twist! Ancient Romans called ugly looking, social outcasts Plebs. Jim Goforth has brought these atrocities into the 22nd century as genetically engineered or rather mis-engineered creatures. You go into the book with Corey and his crazy, drunk crowd and meet up with some total Hell’s Angels type of kickass women. What they hope would be a rocking night turns out to be a cry for help. While having to deal with the various horrific and life threatening situations, Corey finds strength in himself that he didn’t know he possessed. Goforth has developed the character of Corey from a bystander in the cool crowd, to the person who is able to take charge when the need arises. Interwoven is the bittersweet love that grows between Corey and Desiree, skillfully woven, and beautifully written while never straying from the plot of the story. You are rooting for them and hoping they make it out alive and make it together. And as a final twist, we understand the Plebs! (I don’t want to add anything further here and spoil the story for others.) An engrossing story of horror, secrets and ultimately vengeance! This book had me up most of the night and I had to sleep with my light on for the rest of it Five stars all the way! I hope we hear more about the Four Horsemen of the Apocalypse! John Harkon is like an Ethan Hunt of the future. While introducing us to a brilliant character, James Chalk takes us into a well built sci fi setting which seems all too possible. The book also nudges us to think about the present, clearly something close to the author’s heart. You know there are books that you can read a bit at a time and there are books that you blast through. This definitely falls in the second category. Great read! !